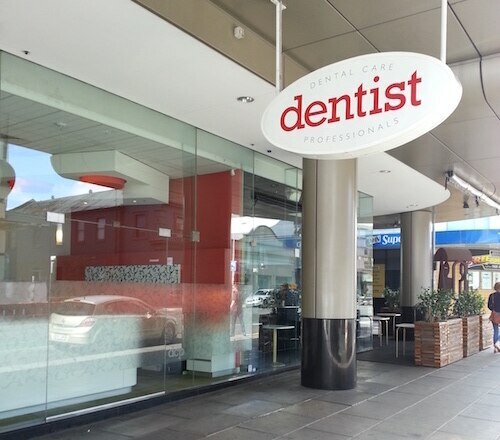 Dental Care Professionals is a family focused dental practice with strong emphasis on pain free treatments, cosmetic dentistry and general family dental care. Our patients receive a high level of care and attention – you and your family can achieve a healthy smile that lasts a lifetime. Dental Care Professionals are committed to continuous education in all areas of dentistry and patient care. We offer the latest in dental treatment options. DCP is a practice of experienced dentists, hygienists and supporting staff, committed to treating patients as people and not just a set of teeth. We provide preventative and re-constructive dental treatment. We help people fix their dental problems including: toothache, broken teeth, gum disease, replacing missing teeth, discoloured teeth, and assist in achieving beautiful smiles. DCP provide the following services: examinations, hygienist scale and clean, porcelain (CEREC) fillings, crowns & bridges, root canal treatment, extractions, composite resin fillings, implants, IV sedation, orthodontics, dentures, night guards, sports mouth guards, skin smoothing treatments, and anti-snoring devices. Funding options available if required.